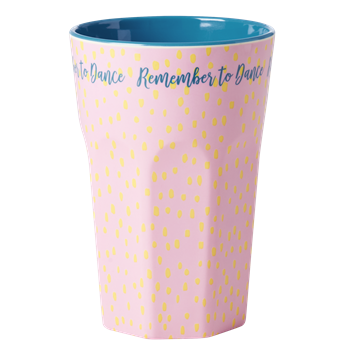 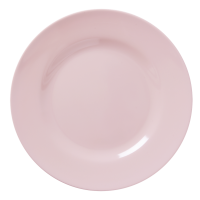 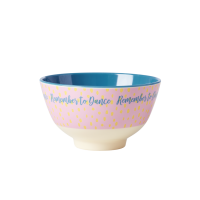 A fun pink Large Raindot Print tall melamine cup from Rice DK with the fun words "Remember to Dance". 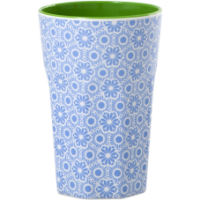 These gorgeous print tall cups are great for smoothies, fresh juices and funky water. They are also perfect size for your morning coffee or tea on the school run or at your desk. 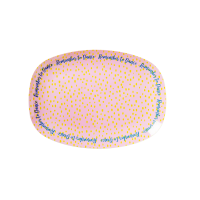 Add a silicone lid. 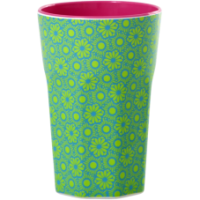 "Go Green" by taking your cup with you to your local coffee shop and ask them to use instead of a paper cup!